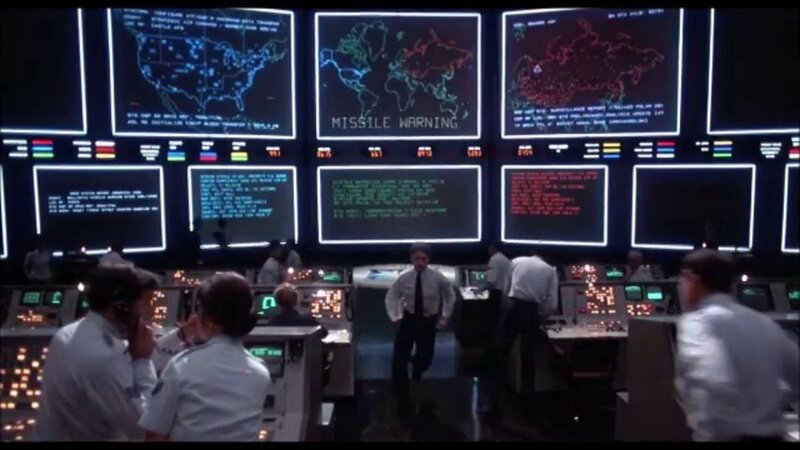 WarGames is a classic 1983 American Cold War science-fiction film. 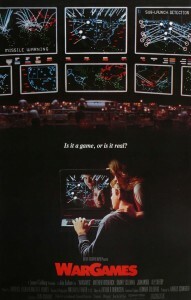 The film is about hacker David Lightman, played by Matthew Broderick, who unknowingly hacks into the United States Military WOPR (War Operation Plan Response) computer when trying to get early access to some ProtoVision video games. What is it about this movie that makes it a classic and one of my favorites? Is it the acting? The plot? The Lesson? The Nostalgia? It’s a wonderful combination of the acting, the plot, the lesson, and most recently the nostalgia that sets it apart for me. The movie takes place during the Cold War when tensions between Russia and the United States are at an all time high, both with manned missile silos armed with enough fire power pointed at each other to annihilate the world, let alone other. 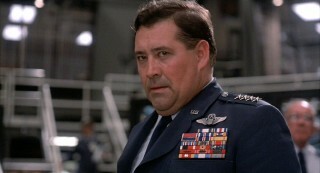 The start of the movie takes place with the U.S. military making a test launch scenario. The two men in the army silo are of note as actors, since the movie. One is Steve, played by Michael Madsen, later known as Vic Vega a.k.a. Mr. Blonde in Reservoir Dogs, you know, the crazy one who cuts off a cops ear, while the other, Jerry, is played by the late John Spencer, best known as Chief of Staff Leo McGarry in West Wing. 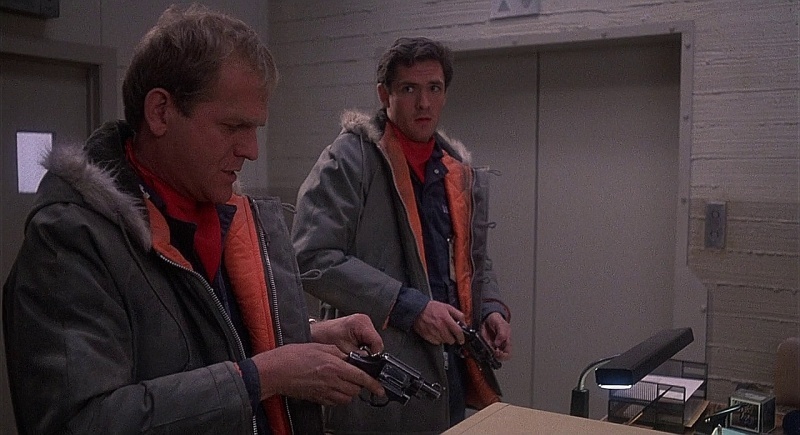 Anyway, due to their failure to launch the missiles in the silo as Jerry is conflicted about killing all those people and Steve is yelling about procedure, they are replaced by electronic relays run by WOPR. Enter early 80’s technology. Lightman sees an ad for ProtoVision, a game company coming out with new games that he wants to play now. He finds out that they are based in Sunnyvale, Calif., one of the major cities in what is considered Silicon Valley. He programs his computer to dial all the phone numbers in Sunnyvale, looking for ProtoVision, in the hopes of getting to play their game early. 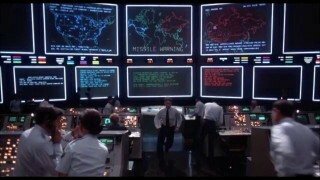 This is where he unwittingly gets into WOPR and starts to play Global Thermonuclear War, which he thinks is just a game, but is actually a simulation that plays out on the NORAD computer screens. The government is panicked with the general having meetings with Dr. Mr McKittrick, head of the WOPR program, about man vs. machine. Oddly enough, that conversation is no longer relevant as we now have more computer control over our armament than we do people. Soldiers are still important, but a lot of our weapons are controlled via computer, rendering this part of the movie dated, but not without merit. Real legislation aside, the movie did awake the fear of foreign and domestic terrorism, in the form of any person, teenager or adult, with a modem and knowledge of computer systems. In the movie, Lightman claims that he was just looking for a game and he thought he found it. The government doesn’t believe him, and as the audience we know his version of the events to be true, but the simulation has already started, creating a clear and present danger as far as the government can tell. 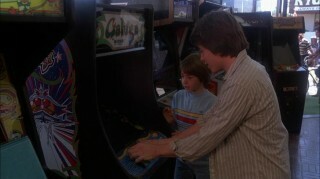 Broderick’s David Lightman is completely believable as an unmotivated teen, spending his time hacking into the school’s computer to change his grades and racking up high scores on Galaga. Lightman’s love interest in this movie is Jennifer Mack, played by Ally Sheedy. Their relationship is anything but normal as their courting is tied into Lightman’s hacking. But at the same time, Lightman is an introverted geek, who although played by the charismatic Broderick, comes off as realistically awkward around girls, even as it becomes more evident that Jennifer is interested in him. Broderick and Sheedy play well the geek romance as we have seen in countless movies since. The penultimate scenes in the NORAD war room play out very well, including the classic line from General Beringer, “Look, I don’t have time for a conversation right now.” But it’s what is learned from this scene that’s most important. 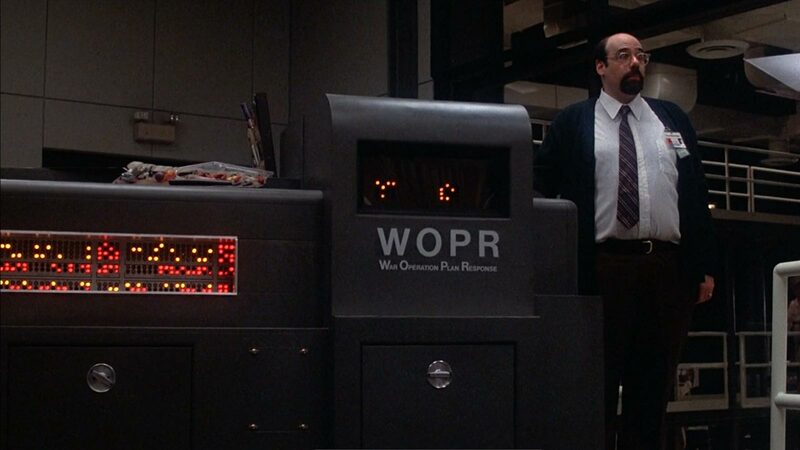 “The only winning move is not to play,” something that WOPR, or Joshua, learns because Profession Falken, the creator of WOPR, programmed WOPR to learn. This lesson, as pointed out in the game, applies to Tic-Tac-Toe and Global Thermonuclear War. It’s something that made the movie more poignant and makes it as relevant today as it was in 1983, although not quite as groundbreaking as the technology has changed. 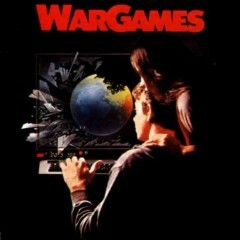 That old technology is part of the nostalgia that washes over people when they see WarGames now. The acoustic couple, used to connect to remote computers via phone lines before computer modems, the large computers and CRT (cathode ray tube) monitors, even the payphone hack Lightman uses to make a call without money each appear to be from another world. Honestly, when was the last time you saw a payphone? The Galaga machine Lightman plays in the beginning of the game, is still considered a classic and remains one of the few games I would love to own a cabinet of. The entire movie is predicated on what looks like DOS, a text-based user interface, that only a handful of people have a vague recollection of, much less remember how to use it. This means that when Lightman was explaining using “HELP” and “HELP GAMES” to Jennifer about programs assisting the user with complex systems, it’s a foreign concept in the current GUI (graphic user interface) systems of today. 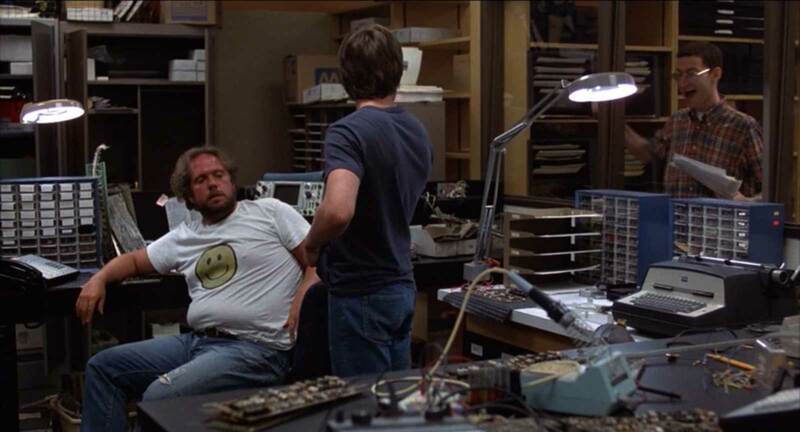 Of course, he isn’t the only hacker, or geek, in the movie. At one point he meets up with Jim and Malvin, who are the prototypical geek stereotypes, unlike Broderick’s Lightman, Jim is heavy and disheveled while Malvin is skinny with glasses, and both have less-than-average social skills. 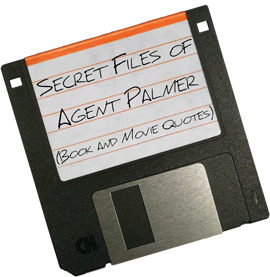 The movie is scored by Arthur B. Rubinstein, which beautifully underscores the tone of the movie as a thriller when it is necessary and as a teen romance in other places. But it all works together and the movie was a success in more than one way. It was praised as “original” and was widely hailed by critics, something that still holds up as it is rated at 92% by Rotten Tomatoes. It is also credited with an unusual rise in online computer activity in 1984. It sparked video games aplenty and a direct to DVD sequel titled WarGames: The Dead Code. The sequel was not about Joshua and WOPR but about a new supercomputer called RIPLEY. It has also been at the heart of many speculations about a reboot. There are no acceptable losses. 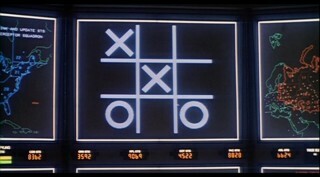 Tic-Tac-Toe is a futile as Global Thermonuclear War and sometimes the geek really gets the girl. 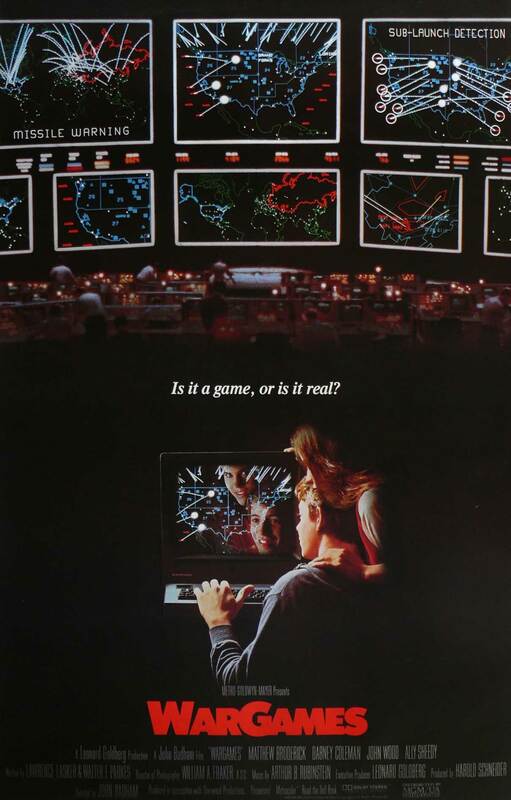 WarGames may be dated with the technology of 1983, but it still remains a relevant classic, full of one of the more important lessons not for its time but for all time. 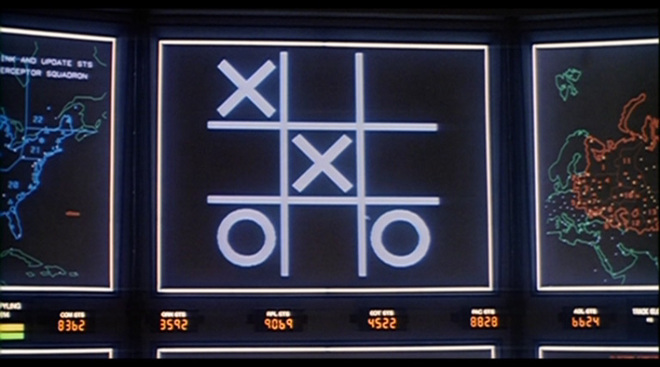 Tic-Tac-Toe, Global Thermonuclear War… How about a nice game of chess? 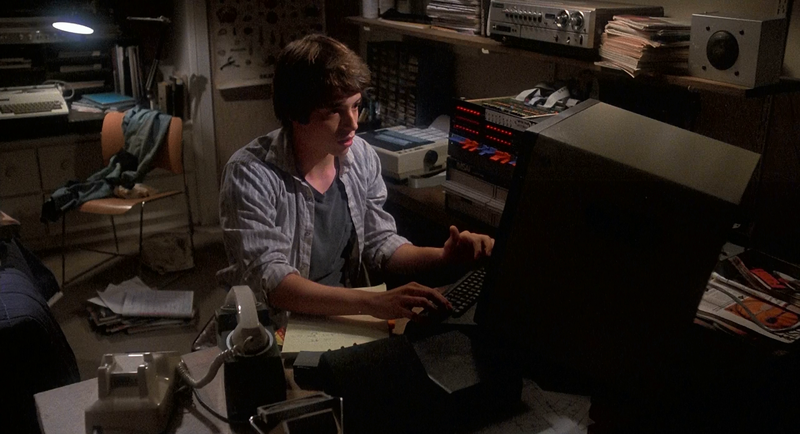 Read the Secret File of technical information and quotes from WarGames.